Enter your email address to receive instant notifications of my new posts. I’m no super expert on Digital Marketing, but I do enjoy following the trends. I’m amazed at how much the mix of necessary tactics has changed in only a few short years. There is still no silver bullet. A smart mix of tactics is still required, but the mix is very different than it used to be. Hello, people of the interwebs. I’ve been thinking about starting up a personal blog for a while now. Well… I finally got myself a “round tuit”, so I no longer have any excuses. I’ve been asking myself that very question for quite a while. I’ve often wondered why people would publish their personal thoughts, in all their glory, for the whole world to see. I guess, since I’ve been putting my thoughts out there in 140 characters on Twitter and status updates on Facebook for a few years, I’ve become a little more comfortable with such a public forum. 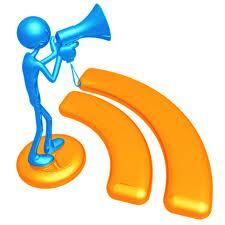 A good blog has many important attributes. Interesting topics, quality writing, and frequent posts, just for starters. Those attributes require a lot of work and commitment, and I’m finally ready to jump in with both feet. I have many interests. Some are work-related, and many more are fun-related. I also love to learn. I don’t like being a noob at something. I prefer to be knowledgeable and expertly. I tend to become a student of the subject. Some might even say, an enthusiast. Hope you enjoy! If you do, perhaps you’ll Tweet, Like, or +1 me to your networks. +1… is that a verb now? Also, please comment on this for me. I’m looking for some feedback. In your mind, what is the most important attribute of a good blog that makes you want to come back and read future posts. I’m still learning about this whole blogging thing, so I look forward to hearing from you.